Tablet Tips: How to play a video file (over 4GB) on android tablets? 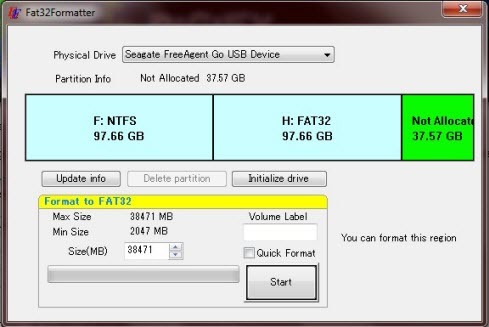 Most android tablets only recognize SD cards formatted in FAT 32, which has a 4GB limitation of a single file. These tablets including Motorola Xoom, Asus Transformer Prime, Sony Tablet, Toshiba Thrive, Kindle Fire, Nook tablet and more. Sometimes, we need to put some Blu-ray or DVD movies on our tablet to kill the boring time during journey. Since most tablets supports HD videos playback, we care more about the video quality. However, higher quality with bigger size and most video players won’t find files larger than 4 GB for some reason. In this situation, how to get rid of the 4GB limitation to smoothly play High definition movies on your tablet? This article will show two solutions for you. 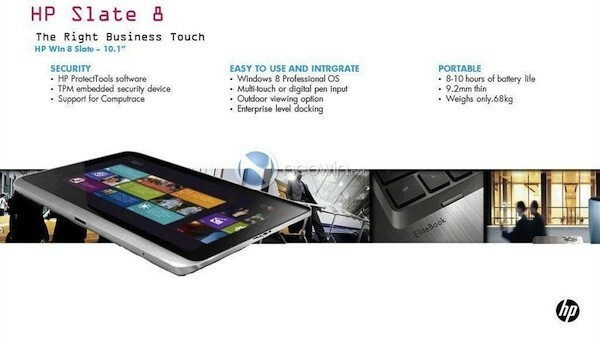 After the HP touchpad, HP will introduce their second tablet later this year, which is named HP Slate 8. It will use Windows 8 Professional Operating System, with a 10.1-inch display, eight to 10 hours of battery life, and a frame that measures 0.36 inches thick–slightly thinner than Apple‘s new iPad. Canon’s new EOS C300 cinema camcorder, which aims to give users the functionality of a video camera with the large sensor of a DSLR. Promising to bring the ease-of-use of conventional camcorders together with the cinematic effect that DSLRs can produce with their interchangeable lens system, the C300 is certainly getting a lot of attention. This amazing digital cinema camera shoots videos in MXF format, which is known as Material eXchange Format. This format is so complex that only few editing software can handle it smoothly. 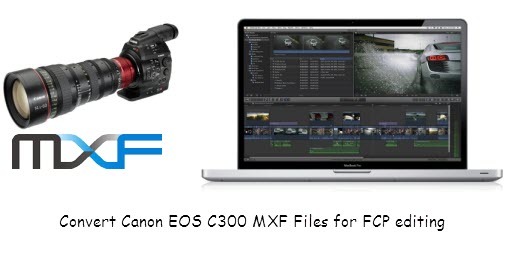 According to the survey, importing Canon C300 MXF footage into Final Cut Pro with many issues, no matter FCP 6/7 or latest FCP X. Finally, i learned that the perfectly supported codec by FCP is Apple ProRes, so if we convert MXF to Apple ProRes, the FCP will read the files fast and easily. In the acer category of tablet-tips, i have write many articles about Acer’s tablets, but recently, Acer released their new tablet – Iconia Tab A510. As it’s named, it’s a new upgraded of A500. About it, not long ago, i share the solution to put DVD movies on Iconia Tab A510, you may have read it. However, some readers told me that they also want to watch their MKV HD movies on Iconia Tab A510, no matter 1080p mkv videos or 720p mkv videos playback on Iconia Tab A510 with issues. What’s the problem? By studying for a long time, i learned that MKV is a container format, it’s able to contain different audio and video codec. There are many free android players can play MKV movies, but not all mkvs can be supported well by them. Regularly, some mkv videos playback on them without audio, some without video, some even can’t be recognized by the players. As you see, using player isn’t the best solution. 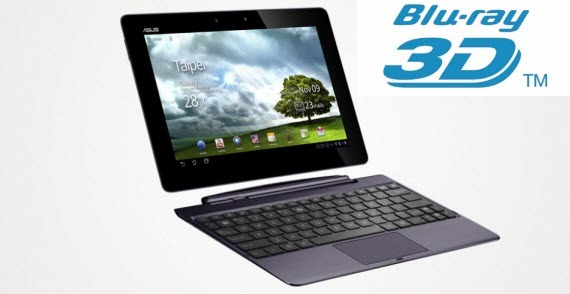 Asus‘s Transformer Prime is one of the most powerful android tablets. A 10.1″ LED-backlit capacitive multitouch screen with Gorilla glass gives us crisp, clear images. With IPS (1280 x 800) resolution to showcase movies and games in stunning clarity. Every point of view, Transformer Prime is really suitable for watching movies. I guess, you may have tried to rip blu-ray to transformer prime or convert DVDs for Transformer Prime. 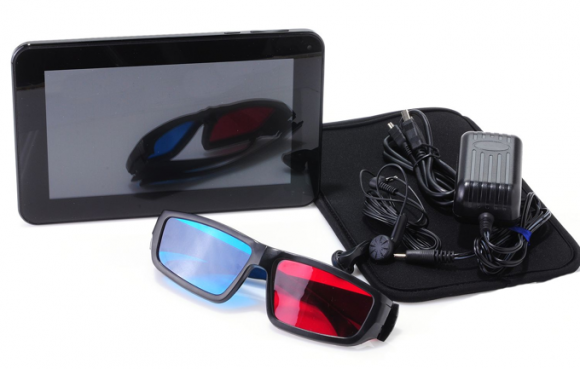 At the same time, with the development of film industry, 3D movies become more and more popular. But, these movies should be played on special devices, like 3D players, 3D TV and more. If you have conditions to play 3D movies, you should have many 3D Blu-ray discs. Except enjoying 3D movies at home, today i will share you a solution to enable transformer prime play 3D Blu-ray movies. After the release of new iPad, its battery life continues to be criticized, many Apple users are concerned about how to use the battery is longer, obviously, a new iPad 3 battery can not be called serious, indeed fall faster compared with the first generation of iPad. However, by the following adjustments, allowing the new iPad battery life improved significantly. The most simple and effective way to reduce screen brightness, Click on “Settings -> Brightness -> Wallpaper” to make it, or You can double-click to multi-task bar, and then brush to the right, adjust the brightness of the module on the left. Using 4G network can load data faster, but also reduces the battery life. Especially in 4G coverage limited area. Click on ” Settings > General > Enable LTE to turn off the 4G functionality “, of course, 3G also can be turned off. Within the specified time, which can let your iPad go to sleep. Settings > General > Auto-lock, and then set a shorter time interval, such as two minutes for the iPad is more appropriate. If you want to buy a cheap tablet, there are many choices, such as Amaon Kindle fire, Nook color or tablet, Blackberry Playbook, Hp touchpad etc. But there are also numerous ones manufactured by companies that you probably never heard about. Ematic eGlide Prism is just one. Thanks to PS Vita’s OLED wide screen, we can play movies on PS Vita in a pretty good visual experience. However, something went wrong when you try to play some AVI or MKV videos on PS Vita, these two formats aren’t compatible well with PS Vita. From the official website of PS Vita, we can clearly learn that PS Vita only supports h.264 or MPEG-4 videos, and no mention of mkv or avi supported. So if you plan to watch mkv or avi videos on PS Vita, you should do something in advance, to be honest, you have to convert avi or mkv videos to PS Vita supported video formats. H.264 mp4 format is a good choice. which is really a good balance between quality and video size. Meanwhile, i know a pretty good video converter to help you realizing it. Which is named Pavtube video converter. Featuring the latest Android 4.0 Ice Cream Sandwich OS, the first quad-core chip tablet of Acer’s. Iconia Tab A510 has been announced for the U.S. and Canada. Like most android tablets, It also has a 10.1-inch WXGA HD display with resolution of 1280×800, 12-Core GeForce NVIDIA GPU, 1GB of RAM, 32GB of internal storage and a 5-megapixel rear camera with HD video capture along with a 1-megapixel front-facer. It also features an HDMI port, microSD slot and a 9800mAh battery, which according to Acer offers around 12 hours of battery performance with video playback. Acer Iconia Tab A510 with the configuration of the most powerful android tablet at the present stage, but, which most attracted me is it’s 10.1-inch WXGA HD display and the 12 hours battery life for videos playback. I often go on a trip, during the journey, Iconia A510 is a good choice to kill time, meanwhile, watching movies on Iconia Tab A510 is my favorite. But, a problem still troubles me, i have lots of DVD collections, however, iconia tab a510 can’t play DVDs directly. How can i do it?